It was not that long ago that you had to join the military or an elite police force in order to use any sort of thermal imaging device. Thankfully for us, this relatively new night vision technology is now readily available to the general public and whilst for most people the prices cannot be regarded as cheap, but they continue to come down as the level of competition between the increasing number of brands who enter the NV market increases. So only a few years ago your choice of thermal imaging binoculars and bi-oculars was extremely limited, but now there is a good selection to choose from and so I decided that it was high time to take a look at what is out there and compare some of the best. Bi-ocular vs Binocular - What's the difference? One of the fist things you will notice when you start researching thermal optics where you can look through them with both eyes is that you are presented with both thermal bi-oculars and binoculars. So what is the difference? 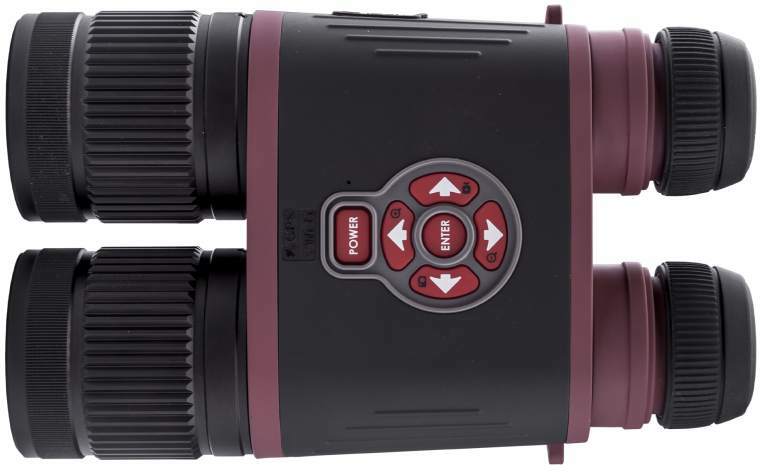 Well a true thermal binocular has two objective lenses, that collect information from each of them, whilst a bi-ocular only has one objective lens, but has an eye-piece arrangement that allows you to look at the image it generates with both eyes. These obviously both differ from thermal monoculars which only have one lens and you can only view the image with one eye. The advantage of a true binocular is that with the same size lenses, it collects double the amount of information as a single lens this can lead to a higher quality image and better night vision. On top of this you get a better stereo effect for improve distance perception. On the down side it costs more to make two lenses, which can in turn, but not always lead to a more expensive product. Binoculars are also often a little heavier as well. The advantage of a bi-ocular over a monocular is that like a true binocular, it is much easier to see and use with both eyes and you get a much better, more immersive experience. My choices as to what I believe are the top thermal vision binoculars for 2019 are based not only on the specifications and features, but I also took into consideration how much the unit costs. It would be easy to say that a product with all the top features and latest components is the best and you maybe right. But they won't necessarily be affordable or good value. With two large 50mm objective lenses, the BinoX THD series from night vision giants ATN are true thermal binoculars and thus are able to take in much more information than most bi-oculars. This as well as the vast array of features (see below), makes the fact that they compete in price with almost all of them super impressive. 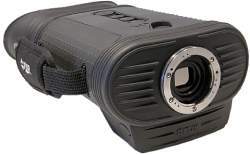 The ATN Thermal BinoX are available in two configurations, the 384x288 that has a zoom range of between 4.5x to 18x and the more powerful 640x480 with a 2.5x to 25x zoom range. Firstly they have image stabilization technology that ensures the best possible results when you record both images and video in HD (1280x960 at 30 fps). 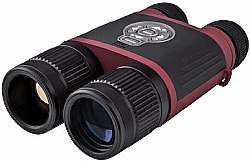 This gyroscope image stabilization helps you to more easily spot game with a much more steady shake free view. There is also a GPS and Altimeter along with the built-in compass can tell you what direction to head in and you can geo-tag your location. The onboard WiFi along with the ATN app installed on your Android or IOS smartphone, tablet or other device means that you can control your thermal binoculars and view live streaming or look at the footage that you have recorded remotely! Next is the BHS-X Command Thermal Bi-ocular from FLIR. There are two models within this series of FLIR thermal binoculars, the BHS-X and the BHS-XR and both offer an improved frame rate when compared to their other similar option, the FLIR Scout BTS-X Pro. This improvement is largely the reason why the BHS series is the choice of law enforcement agencies, whilst the Scout BTS series is aimed more for personal use. Which made sense when the prices were different, but I recently noticed that the price on these had dropped and which is why they are on this list. The BHS-X has a 320 x 240 VOx Microbolometer and a 2x digital e-zoom that FLIR states can detect a human about 2km from you, whilst the higher specification BHS-XR command has a 640 x 480 resolution and comes with 4x digital e-zoom and which extends the range to about 2.5 kms. 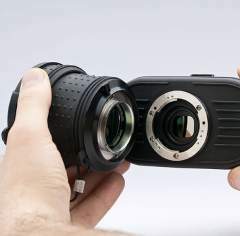 FLIR also offers 6 different lenses that can be purchased separately and which will either extend the view, or make it wider depending on your specific requirements. Both models can record both still images and video, which are saved onto either a SD or SDHC Card. Images are record in JPEG format, whilst video is in AVI, with the BHS-X command recording in 320x240 resolution, and the BHS-XR in 640 x 480. These units are powered via 4 Rechargeable AA NiMH Batteries that come included. There is a huge selection within the Armasight Helios range, but I have decided to select the cheaper 336 models, to see how they compare against the others on this list. There are two models within the Helios 336 sub-series, the cheapest has a frame refresh rate of 30 Hz, which matches the best FLIR models above and the second which is a little more expensive, but has a 60 Hz refresh rate which is really impressive, especially if you consider the price. 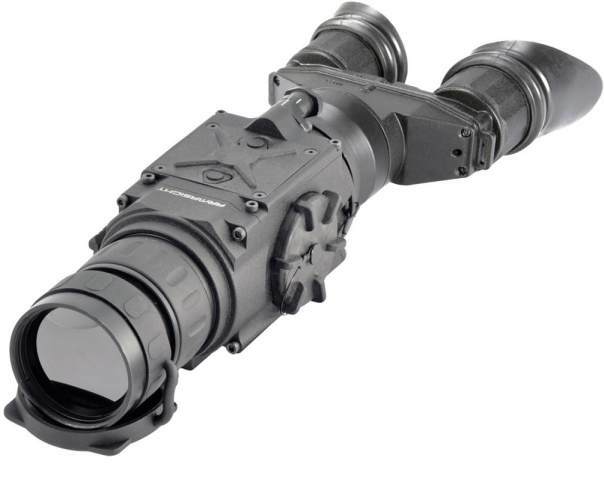 However what is really interesting though is the Armasight Helios 336 thermal binoculars both use the latest Tau 2 Thermal Imaging Camera Cores made by FLIR and are said to offer increased sensitivity (<30mK), and better 640/60Hz frame rates. I like that it has a large 42mm objective lens, although it has to be said that this is still smaller than each of those on the ATN BinoX THD. Depending on the model you select you get an magnification of 2.8x / 3.4x and then on top of that a digital zoom of 1x, 2x and 4x. Should you want to record video, you will have to invest in the optional digital video recorder with SD card slot which will set you back a further $295. Not only is this device waterproof, it is hermetically sealed and filled with nitrogen gas to inhibit internal fogging of the lenses. It has a NC machined aircraft-aluminum alloy construction, yet is the lightest on this list and one of the lightest currently on the market. So If you are looking for a tough take anywhere thermal binocular that does not cost the earth, then the Armasight Helios 336 could be a good option. Ranging between $3995 and $4195, these Armasight Helios Thermal Imaging Bi-Oculars do look to offer great value, but should you want to record video, you need to factor in the extra cost. At the moment and at the current price levels, I find it hard to look at anything past the ATN BinoX-THD. 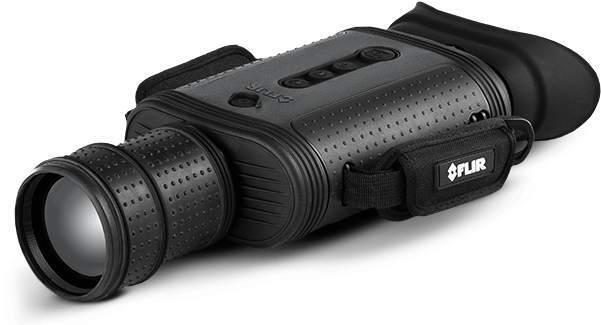 A true binocular with more and better features and at a price that matches or beats all of the competition and which is why it is my choice as the best thermal binoculars for the money no question. I would love to know your thoughts and which other devices I should take a look at and consider adding to this list. You can contact me via the link at the foot of this page.